A great entry level system if you have already converted from drum to disc brakes, the Super Stock features a MacPherson strut like new Mustangs and many European GT cars. 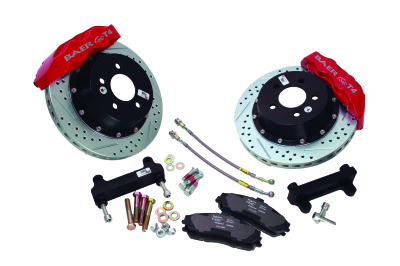 This kit utilizes a 65-69 or 70-73 drum brake mounted to a custom built Gateway Performance Suspension spindle. 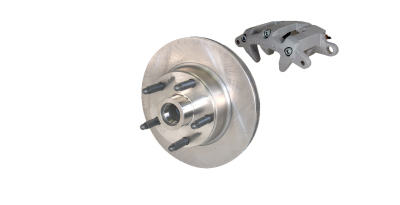 If a drum to disc brake conversion has already been completed on your car then this is the kit for you. This kit does not include brakes. A great entry level system designed to keep your stock 14 and 15 inch wheels, the Super Stock GT features a MacPherson strut like new Mustangs and many European GT cars. This kit utilizes a 94-04 hub assembly mounted to the custom built Gateway Performance Suspension spindle. 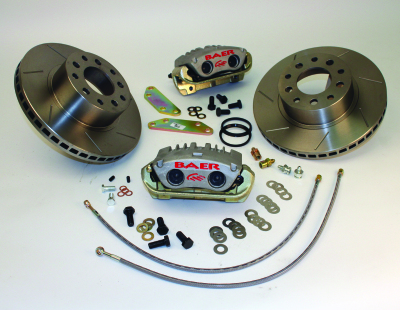 This kit includes Baer brakes. 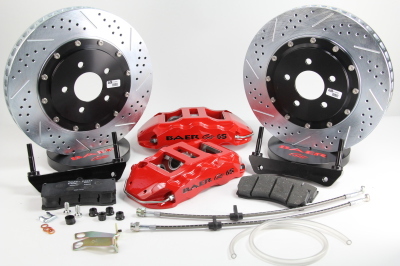 This kit is designed for improved handling and better braking while running a 16-17 inch wheel. The Street Avenger features a MacPherson strut like new Mustangs and many European GT cars. This kit utilizes a 94-04 hub assembly mounted to the custom built Gateway Performance Suspension spindle. This kit includes Baer brakes. This kit is designed for improved handling and better braking while running a 17-18 inch wheel. The Street Performer features a single adjustable MacPherson style strut to control rebound through the valving. 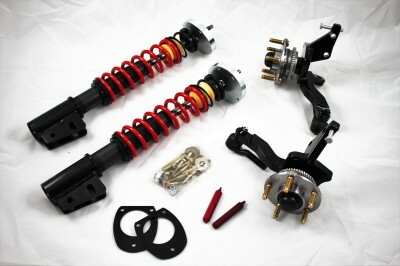 This kit utilizes a 94-04 hub assembly mounted to the custom built Gateway Performance Suspension spindle. 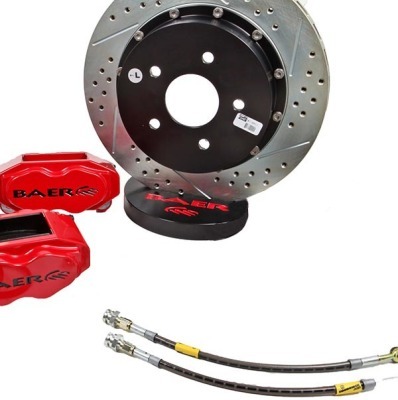 This kit includes Baer brakes. This kit is designed for improved handling and better braking while running a 18 inch or larger wheel. The Street Extreme features a double adjustable with canister MacPherson style strut to control compression and rebound through the valving. This kit utilizes a 94-04 hub assembly mounted to the custom built Gateway Performance Suspension spindle. This kit includes Baer brakes. This kit is designed for a Pro-Touring themed car that will be placed in a variety of demanding situations. Comes with double adjustable with canister struts and 13 or 14 inch mono bloc rotors with six piston calipers. This kit is designed to offer road racing excellence for those wanting the best in performance handling and braking. 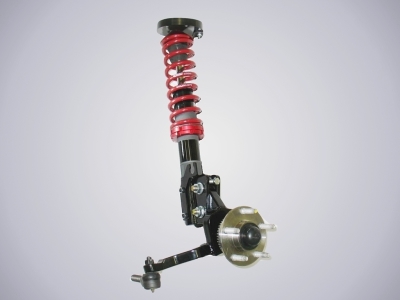 Adjustable ride height and double adjustable with canister racing struts that will allow for finite adjustment. 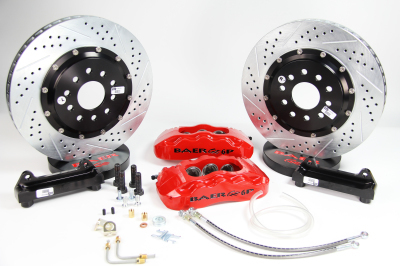 This kit will also come with 14 R-spec Floating Race rotors and six piston racing calipers w/ Quick change pad feature from Baer. The Drag Pack will control the front of your car like no other system can. With the adjustable MacPherson strut, the tires will go to full droop and remain in correct plane with the ground, unlike the stock suspension which droops “spay foot”. No more wondering which way the front end will go when the car lands. 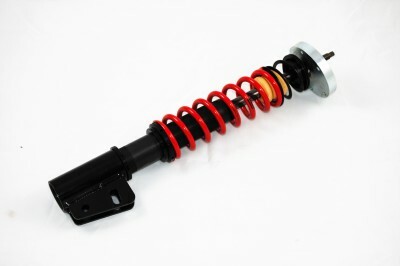 The shocks are a single adjustable drag shock that will allow you to customize your launch. Brakes are lightweight Wilwood aluminum single piston calipers on 11 inch rotors.